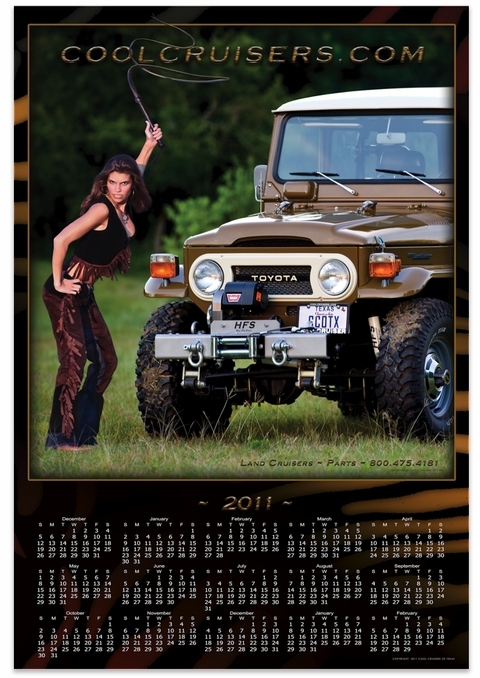 CCOT 2011 Calendar - Poster - "Dominator"
Photo Features "Bree", a Texas print model. 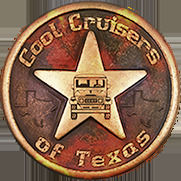 Vehicle is a 1977 FJ40, Olive Brown. FJ40 is fitted with CCOT's 2.5" HFS Lift Kit and 1.5" HFS Barbell Shackles. Tires are mounted on factory wheels. Calendar is printed on heavy 100 pound card stock paper. Calendar measures 13" x 19". This Calendar can be purchased separately. Calendar ships in a protective tube and is flat rolled to arrive in top condition. Poster - 2006 - "Lean on Me"
Poster - 2006 - "Stand by Me"
Poster - 2006 - "She's Barn Kept""
Poster - 2006 - "B Ready""